Some sports equipment is elaborate and complicated, but some is simple and effective, like these Orange Low Profile Cones - Dozen. 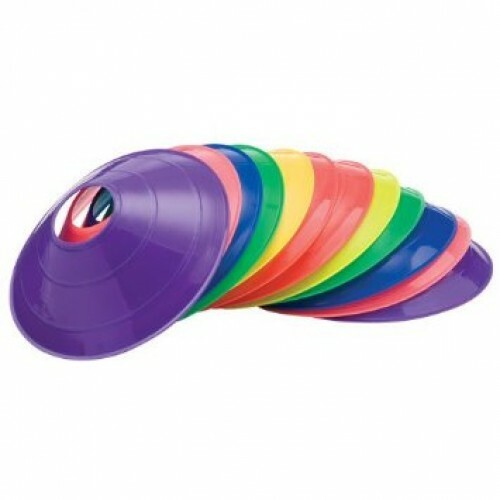 Make them a part of your training drills and see how they can help. They're soft, flexible and stack easily. You can color code your drills and make the most effective use of your practice time. • Approximately 7 3/4 Diameter. x 3 H .